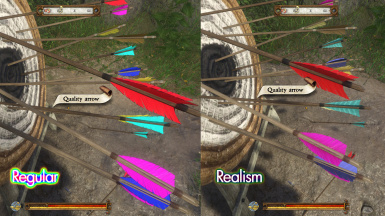 NOW WITH REALISM VERSION --- Changes arrow feathers/fletching to bright colors so you no longer go insane looking for them after you shoot. 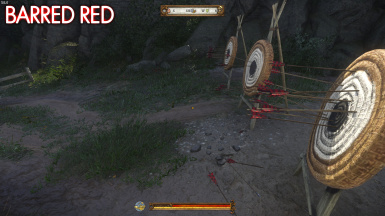 You shoot 13 arrows, one of them hits that stupid hare. Good luck finding the other 12. 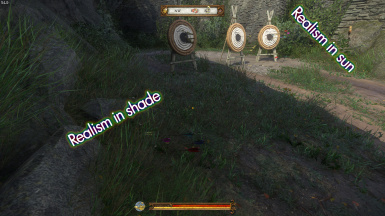 This mod tries to help that by making those arrows POP in the vegetation. 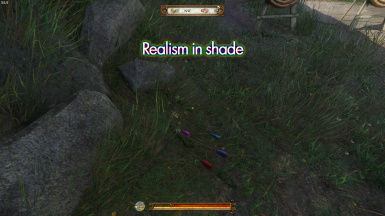 Plus, it adds color to such a "shades of brown" game, and it looks cool. 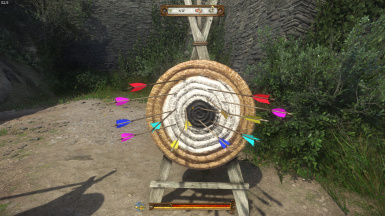 (*) When your arrow breaks, it becomes a broken arrow with yellow feathers. Which means your pretty blue arrow will go yellow. There's nothing I can do about that tiny immersion break. 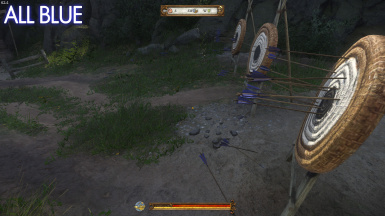 PS: Those are the arrows I could test. I'm sure there are more. 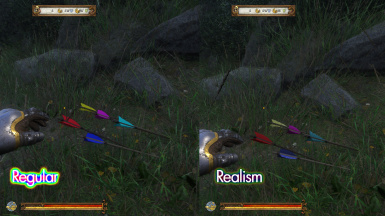 The game has 4 different ARROW FEATHER texture files, 3 of which have 2 different feather types - the other only 1 - which it then assigns to each arrow. Therefore, I cannot change EACH INDIVIDUAL ARROW, as they belong in one of 4 categories. In theory, you can have 7 different colors. 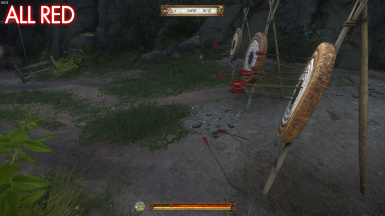 I added ORANGE, but I could not test it in game as I could not find an arrow that used it. GREEN was not used because I believe it would blend in to the forest vegetation. 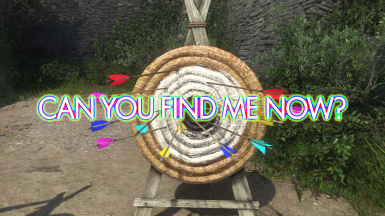 1) Arrows inside buckets and other things don’t look good because the game renders lower quality textures on those. The feathers look more like flaps. 2) Quivers have arrows with yellow feathers in them. 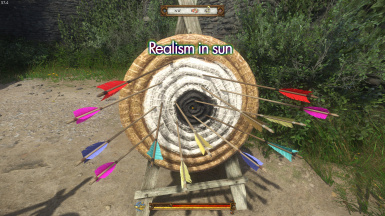 This is because quivers use a single arrow texture. So your arrow may have blue feathers, but your quiver won't. 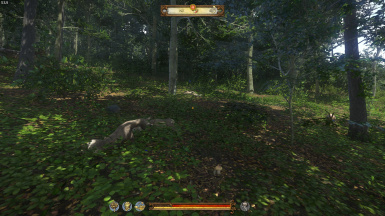 You can simply not use the feathers_diff.dds file in this mod (which will make the feathers tan like in the original game), but other than that, this can't be fixed. You will lose out on the yellow arrows if you do this. And reddit for the inspiration that led to this mod.